I’m fairly certain that a pulse of 500 is incompatible with life, which makes me wonder if this is a vendor value or something the customer configured. This week has been a veritable news roundup of interesting articles and newsy tidbits. 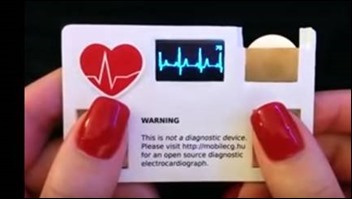 Popular Science featured a wearable patch that can not only monitor blood glucose, but also deliver medication. 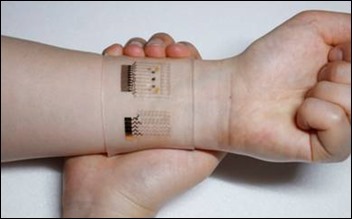 Using the pH of sweat along with temperature changes that align with a high blood glucose level, when certain conditions are reached, a micro heater in the patch dissolves a layer of coating, releasing the drug metformin via microneedles. Commentary on the recent publication notes that it’s not clear whether the device can last a full 24 hours and whether it will withstand exercise and increased sweat. Its ability to deliver human-scaled drug doses is also an issue. From the physician standpoint, I’m not sure about metformin as the choice of drug due to its mechanism of action, but it’s certainly an interesting technology to think about. Engadget reviewed a business card with built-in electrocardiograph capability from MobilECG. The card is open source and schematics are posted online, so I’m thinking perhaps my nephews would like to try their hand at building one. Content vendor Wolters Kluwer has made its Zika Virus order sets available for download. The World Health Organization has declared it a global threat and there have already been nearly 200 cases reported in the United States. The order sets include one for infants to assess for congenital infection, as well as those for emergency department and outpatient settings. Other freely available order sets include Ebola evaluation, ischemic stroke, low back pain, myocardial infarction, pneumonia, and more. Even though I’m behind the scenes at HIStalk, I still rely on it for healthcare IT news. I was glad to see mention of the AHIMA petition in support of a voluntary unique patient safety identifier program. Being in the healthcare trenches, I’m more worried about incorrect data matching than I am about people misusing my data, so it’s a risk I’m willing to take. It’s not the complete answer, but I can’t help but think that it would be better than what we have. I also appreciated Mr. H’s mention of the retirement of Groupwise at BJC. 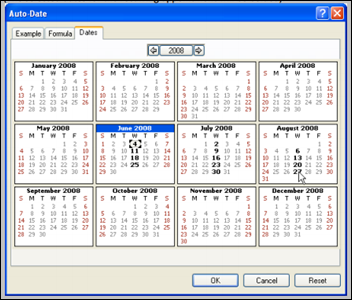 I remember using Groupwise fondly – my favorite feature for scheduling recurring appointments, when you could just pick dates off the calendar rather than having to follow a straight formula. It was an absolute necessity when I had to schedule physician advisory board meetings – we alternated Tuesdays and Thursdays so that conflicts would be shared throughout the group. Also great for meetings that occurred the first and third Wednesday, etc. 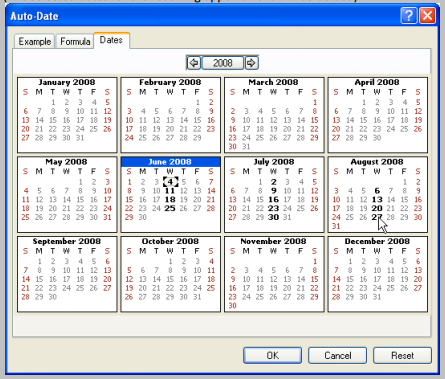 Much easier than sending multiple appointment series. Users can’t convince Microsoft to get rid of the unholy “Clutter” folder in Outlook, so it’s doubtful Microsoft would ever consider this type of enhancement. HIStalk is also a place where readers can ask for feedback and advice. One emailed me asking if I knew of any companies that might have a “lab” of EHR vendors to connect to. He’s trying to test some integrations but frustrated dealing with individual vendors. If anyone knows of that kind of arrangement, leave a comment to pass along the information. I’ve mentioned it a couple of times in passing over the last few months. As for data, we have referral tracking and patient satisfaction survey data which shows the trend. We can capture who has a high-deductible plan from our practice management system and can see who chose us for "cost" in post-visit surveys. We also can see trends on the number of patients who visit us because they can’t access their PCP or don’t have a PCP. There are definitely multiple drivers fueling our growth, but I continue to be impressed by the number of patients who are paying attention to cost. A reader asked about my recent mention that Institute for Health Improvement courses have been approved for ABPM LLSA credit. I clarified with my source that the approved courses include: Quality Improvement Curriculum, Graduate Medical Education, and the Patient Safety Curriculum. Too bad I already took my mandatory Patient Safety course through the National Patient Safety Foundation, because it sure would have been nice to also get the LLSA credit. I enjoy reading scholarly articles, although some are best left for bedtime. “Do You Smile with Your Nose? Stylistic Variation in Twitter Emoticons” was perfect for a mid-day break, however. Analyzing the 28 most used emoticons in American English tweets, it demonstrates “that the variants correspond to different types of users, tweeting with different vocabularies.” I shared it with a friend who edits journals for a living and she responded back with this gem, “20 PhD Students Dumb Down Their Thesis.” I’m fairly certain that #5 might have been submitted by one of my medical school classmates. 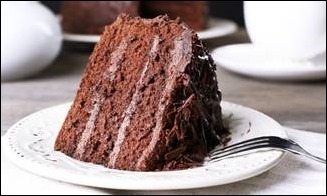 Chocolate cake as the new breakfast of champions? Thanks to Dr. Lyle Berkowitz for sharing this article summarizing research on the benefits of chocolate. Morning chocolate consumption has been found to have positive influences on weight loss and improved performance on cognitive function. I think I’m going to make chocolate part of my complete EHR implementation plan from here on out. What’s your favorite vehicle for chocolate consumption? Email me. Also as a former implementer, pulse is a standard released field that customers should be using. While I don’t know what the field max is from Epic(maybe it is 500 but I doubt it), if a customer is using a non-released pulse field like that with a garbage max, I’d be afraid of what else I would find in their system. That remark got me interested in what the highest documented non-fatal tachycardia actually was – and the results were really surprising to me, as I was expecting mid-300s. In a case study from the University of Massachusetts (http://www.ncbi.nlm.nih.gov/pmc/articles/PMC3273956/), they documented a ventricular conduction rate of 600 beats per minute, higher than the previously documented maximum non-fatal heart rate of 480 bpm. HIStalk (Dr. Jayne) – I’m happy to address the comments asking for “any companies that might have a “lab” of EHR vendors to connect to.” My name is Barry and I’m a Senior Consultant (barry.dickman@aegis.net) with AEGIS.net, Inc. We address and mitigate interoperability issues & risks every day. AEGIS currently maintains a “plethora” of statistical analysis on standards-based conformance and interoperability testing of EHR vendors through our technology platform supporting on-boarding to the eHealth Exchange (e.g., The Sequoia Project). I would welcome the opportunity to discuss AEGIS’ role as a global leader in innovation of Health IT interoperability, testing, analytics, and informatics community. We currently have over 400 organizations utilize our testing platform. AEGIS continues to brief Federal Health IT leadership on the challenges and barriers that continue to exist for the government, Health IT vendor community and Standards Development Organizations (SDOs). AEGIS works with a wide array of leading associations, organizations, and key federal agencies in addressing these challenges by ensuring “continuous” testing, industry-based standards development and interoperability. We are regularly called upon by organizations such as the AMA, AMIA, AHIMA, CHIME, Gartner, HIMSS and others by both their technical & government affairs offices. Several leading EHR vendors with government affairs personnel engage with us at industry event, panels and congressional activities. We would welcome the opportunity to brief you, your readers on their options for “trying to test some integration’s” based on our extensive experience and success factors associated with The Sequoia Project as their technology solution, HL7 Conformance Testing Program and our role as the Argonaut Project Testing Community partner.